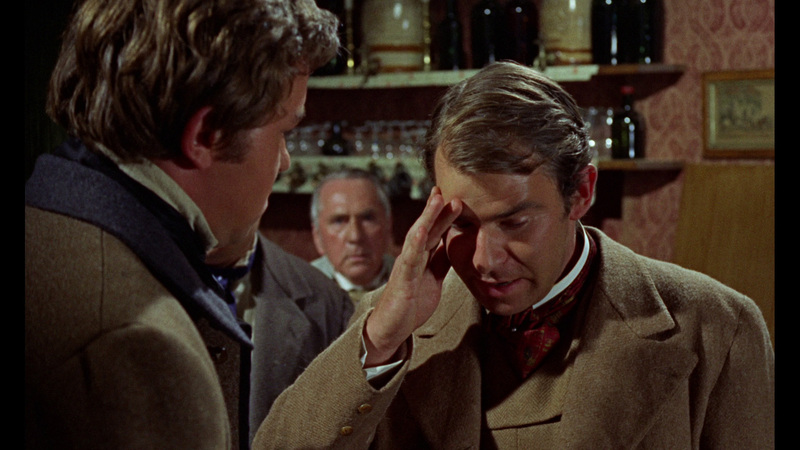 Sir James Forbes receives a hastily written letter from a former pupil, Dr. Peter Thompson, requesting his help in curing a mysterious illness leaving the young men of his small Cornish village dead. Forbes, along with his daughter, Sylvia, travels to the village, where they learn that Peter’s wife, Alice, is also sick. They also discover that the graves of the dead lie empty, while a sinister squire and his young cronies terrorize the village’s inhabitants. Forbes suspects that a voodoo practitioner is work and that the dead are rising from their graves as zombies. He’s correct, of course, and his own daughter is marked as the voodoo cult’s next victim. The Plague Of The Zombies is an oddity among Hammer films. 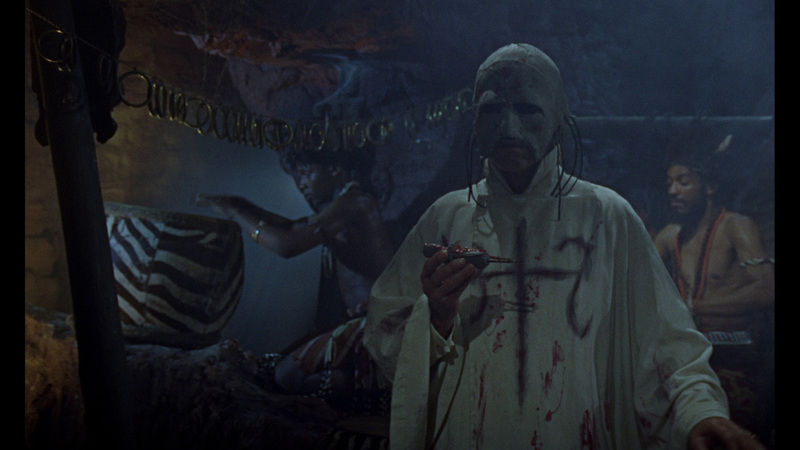 It remains Hammer’s only foray into the zombie subgenre (unless one counts The Legend Of The 7 Golden Vampires, but the primary monsters there are, as the title suggests, vampires), despite the fact that it was released on a fairly successful double bill with Christopher Lee’s return to the role that made him famous, Dracula—Prince Of Darkness (1966). 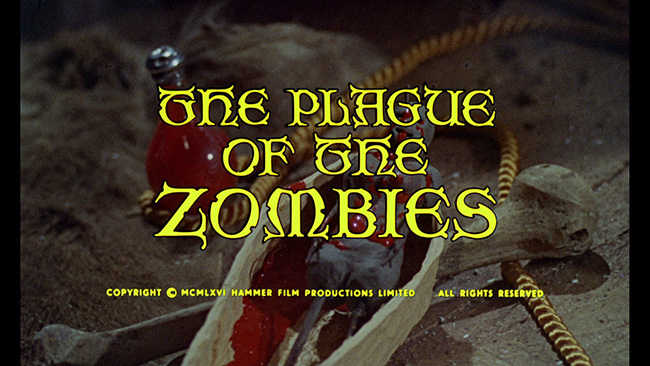 On the one hand, The Plague Of The Zombies must have seemed old-fashioned in its day, perhaps as a result of Peter Bryan’s original script, which had been fashioned as a vehicle for release by Universal; on the other, it’s relatively high amount of gore, a result of the script having been rewritten for release by 20th Century Fox, is all too modern. Yet the film is far from a schizophrenic affair; Hammer molded the old and the new so perfectly that the final result is one of the studio’s finest efforts. Even more astounding, they get away with some obvious suggestions of necrophilia. 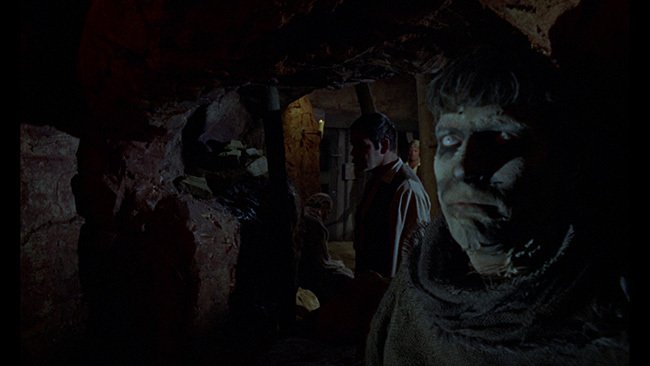 The squire is turning men into zombies for work in his mines, once abandoned by local workers because they were dangerous, yet, after meeting the beautiful but married Alice, he decides to make her a zombie as well. 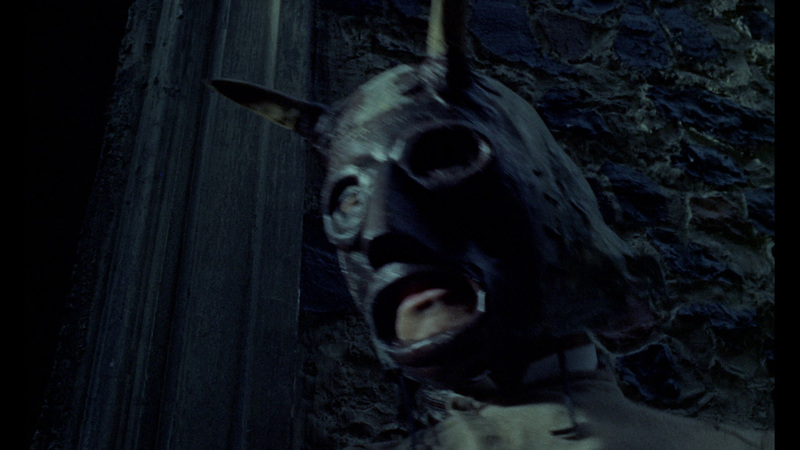 When she’s decapitated by her husband’s former professor, the squire refuses to be foiled. He lays claim to Sylvia, clearly for purposes other than work in the mines. It’s a daring subject, particularly given that the squire will not be able to consummate his passion until after his victims are dead, buried, and risen as zombies. 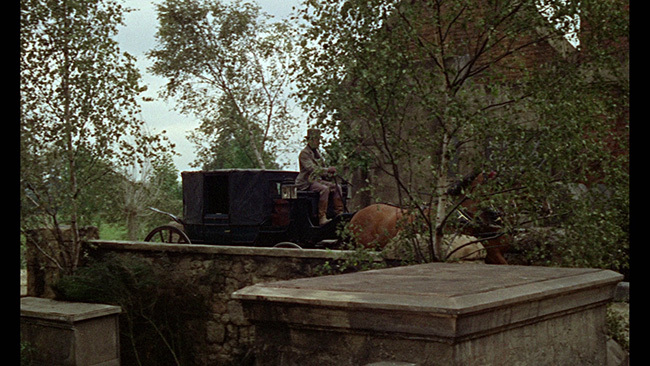 Originally shot back to back with The Reptile on the same Bray Studio/Oakley Court sets, The Plague Of The Zombies is appealing on a number of levels, not the least of which is its strong performances and direction. 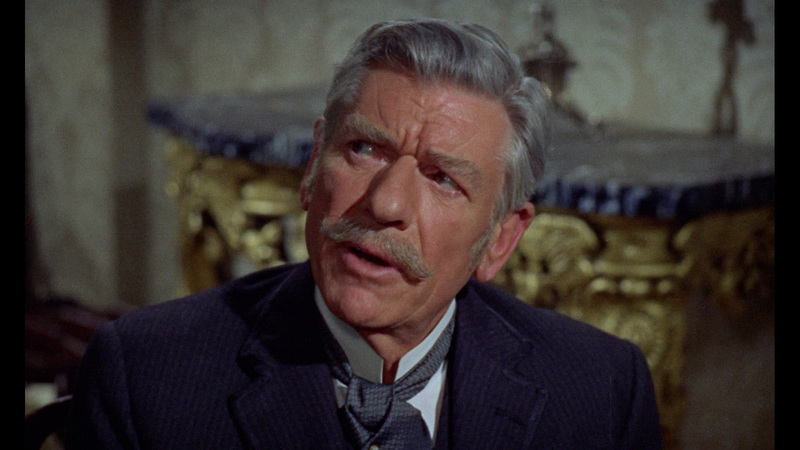 One would expect nothing short of greatness from British thespian Andre Morell, who had previously essayed the role of James Watson for the studio’s only Sherlock Holmes outing, The Hound Of The Baskervilles (1959). 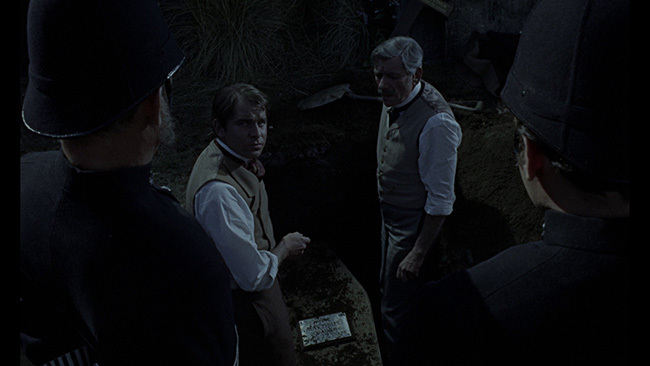 Morell’s is a commanding performance, one that towers over the rest of the cast, but this is as it should be, given that he plays a university professor to whom the others look for guidance and instruction. Jacqueline Pearce has also been praised for her heady turn as Peter’s wife, Alice. And while she is terrific, she’s no more powerful than Diane Clare, who has been criticized for her stuffiness from most film historians and critics. On the surface, it’s easy to see why; in comparison to Pearce, she seems stuffy and aloof. But strip away the class pretension and her portrayal is spot on. One gets the impression that Alice comes from a lower middle class background, while Sylvia is the product of an upper-class education of the type refused to everyone else. She may be rash to express her opinions, but she has a tendency to hide her feelings behind a veneer of respectability. 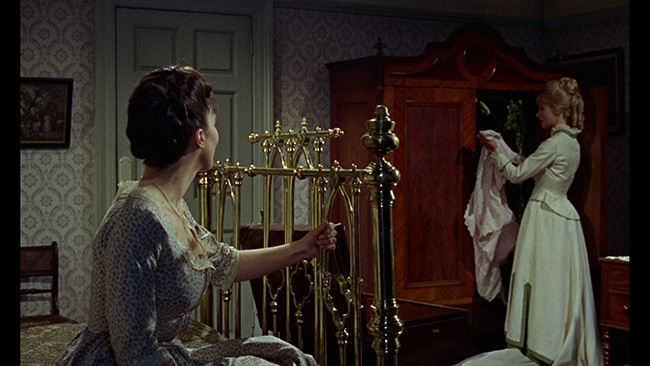 Thus, when Squire Hamilton expresses an interest in her that may be lascivious, she ultimately falls for the bait, but she certainly doesn’t let her attraction show. And when Sylvia is attacked and nearly raped by a gang of upper class hoods, Clare’s expression is an appropriate and realistic mix of fear and anger, betraying resolution and strength. Because her character is intended to be strong and inhibited, it seems strange that she should be criticized for portraying Sylvia is such realistic turns. John Gilling’s direction is top-notch. His career as a director began in the late 1940s, but it was with Hammer that he really found his calling. 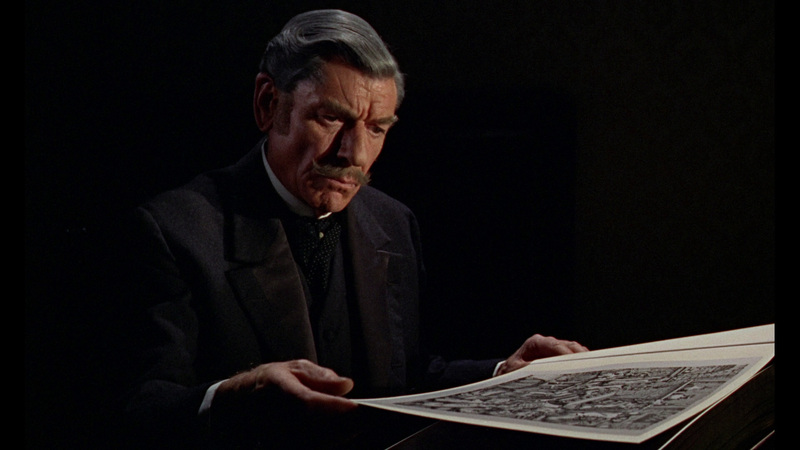 Whether making swashbucklers (The Pirates Of Blood River, 1962) or Gothic horror films (The Reptile, 1966), he brought a high degree of gravitas and respectability to his pictures. 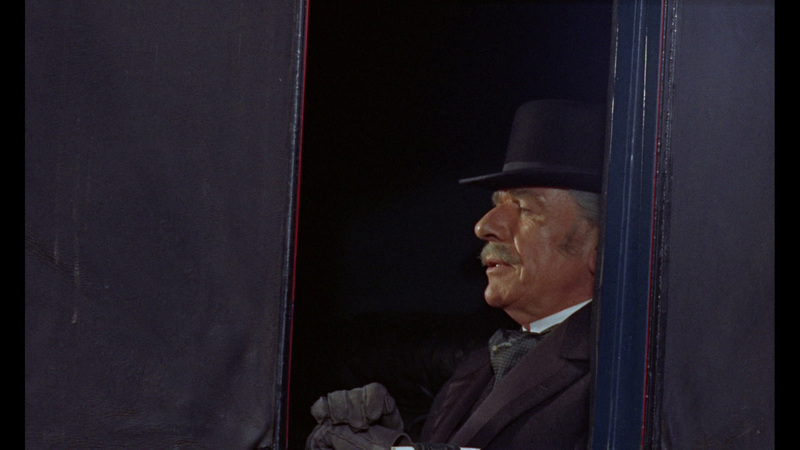 Though his career included such “classics” as The Shadow Of The Cat (1961) and The Mummy’s Shroud (1967), The Plague Of The Zombies ties with The Flesh And The Fiends (1959) as his best directorial work. 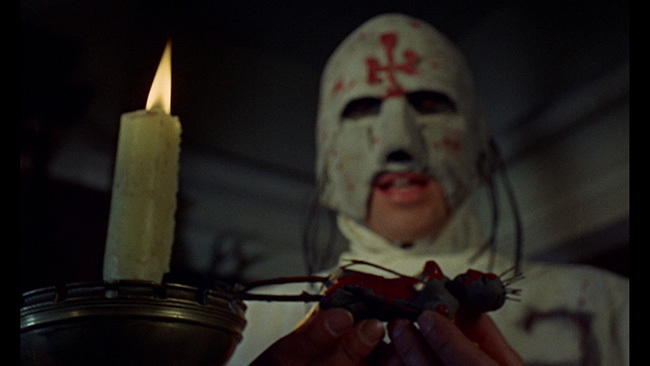 (He also wrote innumerable scripts for films he did not direct, including The Gorgon, 1964, and Trog, 1970.) Clive Barker has long admitted the influence of Plague on his writing career, and the scene in which a hoard of zombies claw out of their graves has been often copied but never surpassed. The Plague of the Zombies was the third truly great zombie film (after White Zombie, 1932, and I Walked With A Zombie, 1943) and the last before the genre was torn down and rebuilt in the wake of George Romero’s groundbreaking Night Of The Living Dead (1968). Shout! Factory’s Blu-ray release of The Plague Of The Zombies looks pretty damn close to the Anolis Blu-ray release that came out in 2015, but that’s not a bad thing at all. The AVC encoded 1080p high definition presentation is offered up on a 50GB disc with the feature using up just a hair under 28GBs of space. Framed in its proper 1.66.1 widescreen aspect ratio, the transfer offers very nice detail, good depth and impressive texture. Colors look quite good, black levels are fine and we get nice, accurate looking skin tones as well. The image is free of any obvious noise reduction, there’s no waxiness or odd, digital softness here to complain about, and compression artifacts and edge enhancement are never a problem. There isn’t much print damage here to note at all, just the occasional small white speck now and then, while a natural amount of film grain is present throughout, as it should be, without ever distracting from the feature. All in all, this looks quite nice. The only audio option on the disc is an English language DTS-HD 2.0 Mono mix. There are no alternate language options provided although subtitles are offered in English. The mix is clean, nicely balanced and free of any problems. Some occasional flatness inherent in the original elements limits range, but for an older mono track, this is more than good. Extras on the disc begin with an audio commentary track from filmmaker/writer/director Constantine Nasr and film historian/writer/producer Steve Haberman and historian/writer/producer/actor Ted Newsom. It’s a fun, chatty track that covers a lot of ground and it does so with a good sense of humor. 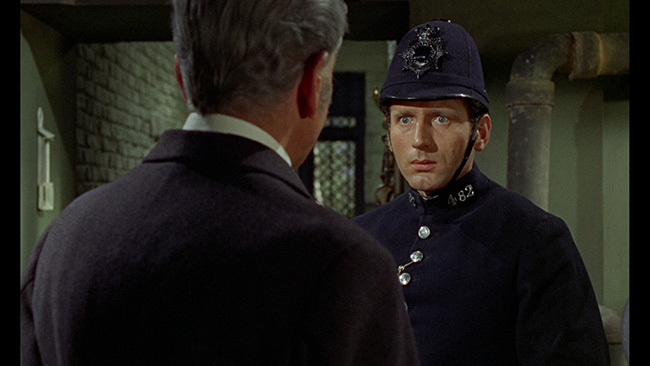 They start with the film’s prologue, noting that the British version played out differently than the version that 20th Century Fox released. 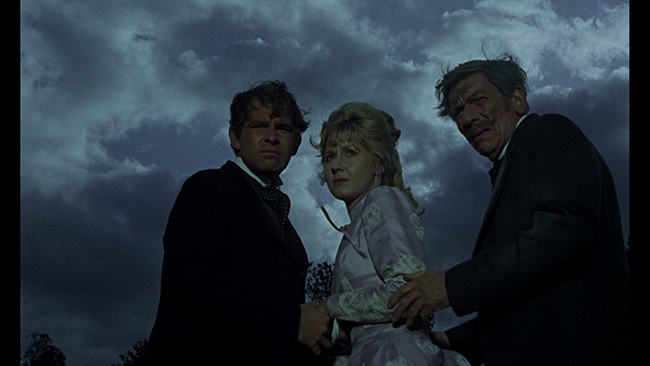 From there, the history of some of the locations used in the film, such as Heatherton Hall, as well as the actors that appear in the picture and their backgrounds and other credits that they’ve got that could be of interest to listeners. They discuss the dubbing that was done over Diane Clare’s character, how a lot of Hammer films are ‘ostensibly mysteries’ in a lot of ways and some of the flaws inherent in that structuring, the difference between British and American actors, conflict that existed between Diane Clare and André Morell, John Gilling’s directing style and how it compares and differs from Terence Fisher’s work, how certain scenes in Plague Of The Zombies seem to mirror certain scenes in their adaptation of The Hound Of The Baskervilles, the film’s twenty-eight day shooting schedule, the quality of the framing and cinematography in the film, how this picture differs from other zombie films, the way that it works Haitian and voodoo-centric elements into the film, the effects work and the transformation scene’s use of sequential effects and plenty more. Lots of interesting food for thought here, the track is an enjoyable mix of trivia, insight and opinion. 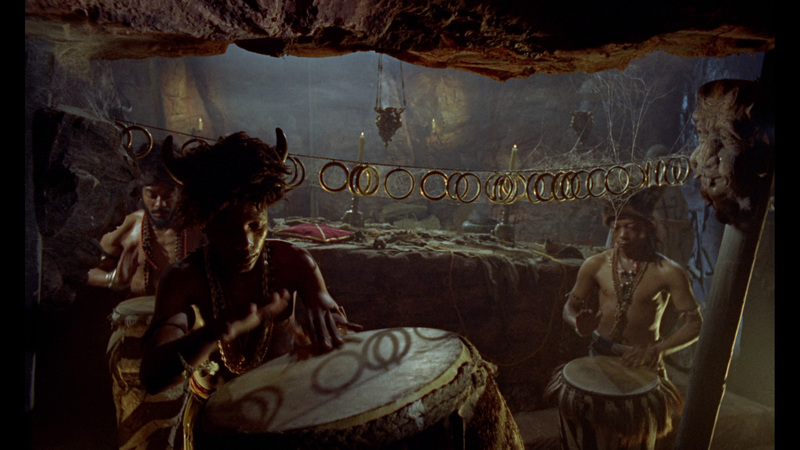 A second audio commentary track feature author Troy Howarth that, after his introduction, starts with some information about when the prologue scenes were shot before then talking about the deal between Hammer and Fox that led to the production of various horror pictures for the studio. He then talks about the American alternate title sequence, how Hammer had a tendency to ‘revorce’ many of their actors, Morell’s treatment of Clare on set, Brook William’s ‘weak link in the cast’ performance, credits that some of the supporting and bit part players hold that are of interest, the BBFC’s reaction to the film, how the film shares some editing tactics with Freddie Francis’ Amicus picture The Skull, the effectiveness of the zombies as they’re utilized in the film and the quality of the lighting employed in the picture. He also covers the studio that was used to shoot some of the scenes in the film, Hammer’s treatments of clergymen in their films, Gilling’s penchant for directing both horror and action films and more. Howarth’s clearly done plenty of research here and that comes across. It has some crossover with the first commentary track, which would seem to be unavoidable, but he covers enough new ground here to make this worth listening to. Carried over from past releases is “Raising the Dead: The Making Of The Plague Of The Zombies,” which was produced and directed by Marcus Hearn. 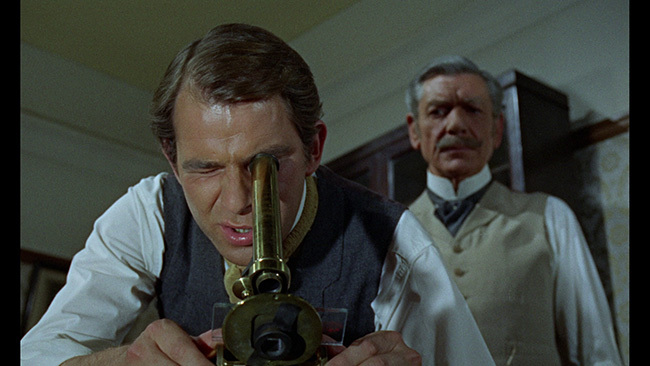 Interviewed are actors John Carson and Jacqueline Pearce, as well as film historians Mark Gatiss, Jonathan Rigby, Wayne Kinsey, and David Huckvale, art director Don Mingaye, and technical restoration manager Jon Mann. The documentary is presented in high definition and runs a little over thirty-five-minutes in length. Shout! Factory has also included a World Of Hammer episode entitled Mummies, Werewolves & The Living Dead that runs twenty-five-minutes in length. Narrated by the late, great Oliver Reed, this piece covers, as you’d probably guess from the title, films that Hammer made featuring mummies, werewolves and zombies. 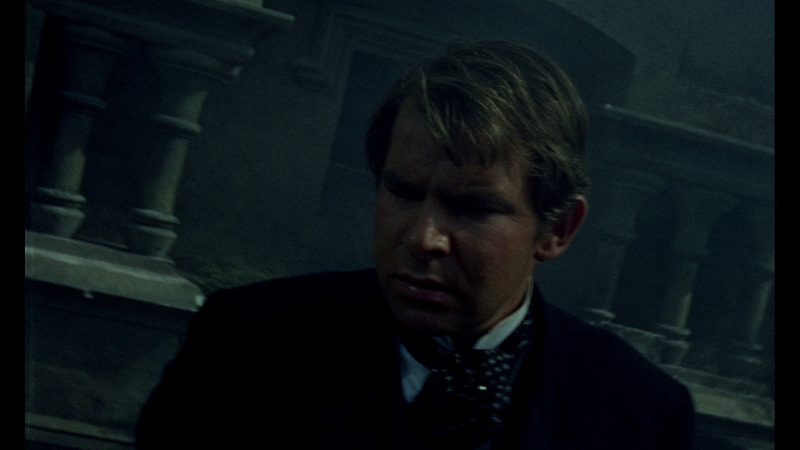 Over a host of clips from various Hammer films, Reed talks about the history of the Mummy films that Hammer made, offers thoughts on Captain Clegg and that film’s use of ‘phantoms,’ and, of course, Curse Of The Werewolf (in which he played the lead). As the piece closes out, we get some input on The Plague Of The Zombies as well. It’s fairly superficial and more reliant on the clips than on Reed’s sparse narration, but it is never-the-less an interesting vintage featurette and its inclusion here quite welcome. Rounding out the extras is a four-minute restoration demo showing before and after footage of the cleanup process used on the transfer, two different trailers for The Plague Of The Zombies, a double feature trailer for Plague and Dracula - Prince Of Darkness, a still gallery, menus and chapter selection. Shout! Factory also includes some keen reversible cover art for this release, with the original one sheet art included on the reverse. 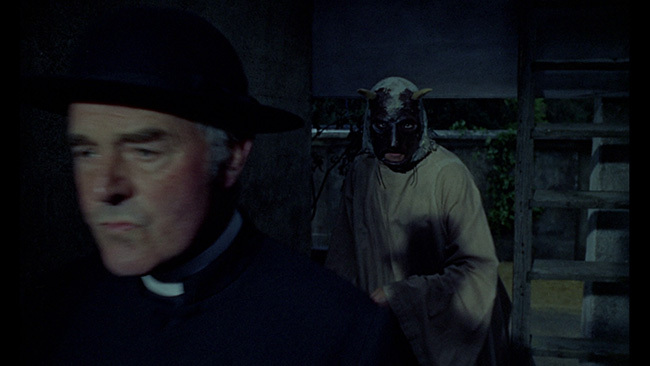 The Plague Of The Zombies is an effectively creepy film that boasts some solid performances, impressive cinematography and some wonderfully macabre atmosphere. Shout! 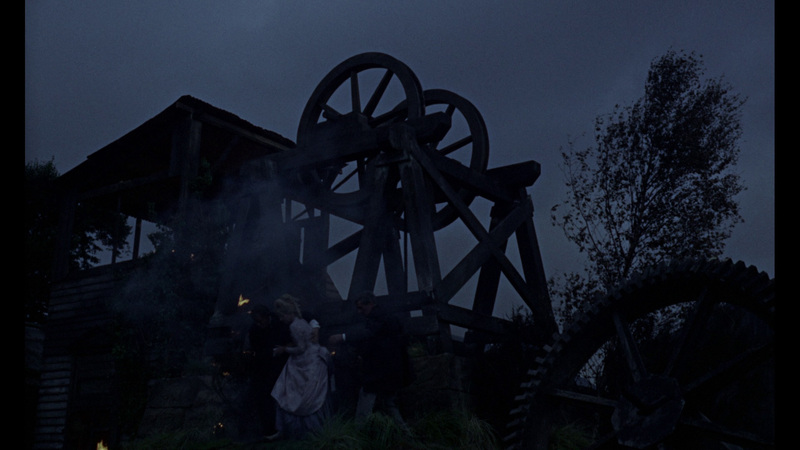 Factory has done a nice job bringing the film to North American Blu-ray for the first time. The transfer is strong and the audio just fine and on top of that? We get a nice selection of extra features as well. 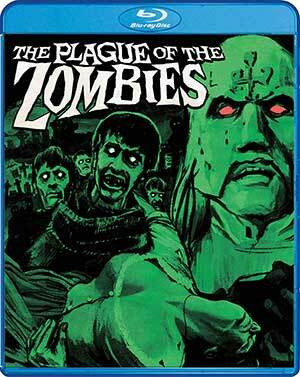 Click on the images below for full sized Plague Of The Zombies Blu-ray screen caps!